St. Martin's Griffin, 9780312538804, 288pp. When Schuyler Rummel-Hudson was eighteen months old, a question about her lack of speech by her pediatrician set in motion a journey that continues today. When she was diagnosed with bilateral perisylvian polymicrogyria (an extremely rare neurological disorder), her parents were given a name for the monster that had been stalking them from doctor to doctor, and from despair to hope, and back again. Once they knew why Schuyler couldn't speak, they needed to determine how to help her learn. They took on educators and society to give their beautiful daughter a voice, and in the process learned a thing or two about fearlessness, tenacity, and joy. 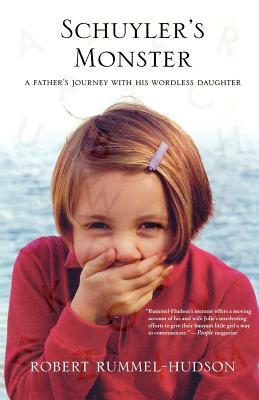 More than a memoir of a parent dealing with his child's disability, Schuyler's Monster is a tale of a little girl who silently teaches a man filled with self-doubt how to be the father she needs.